Player Welfare OVERVIEW CONCUSSION PROTOCOL STRENGTH & CONDITIONING NUTRITION . Stay up to date on the latest Yale Rugby news. 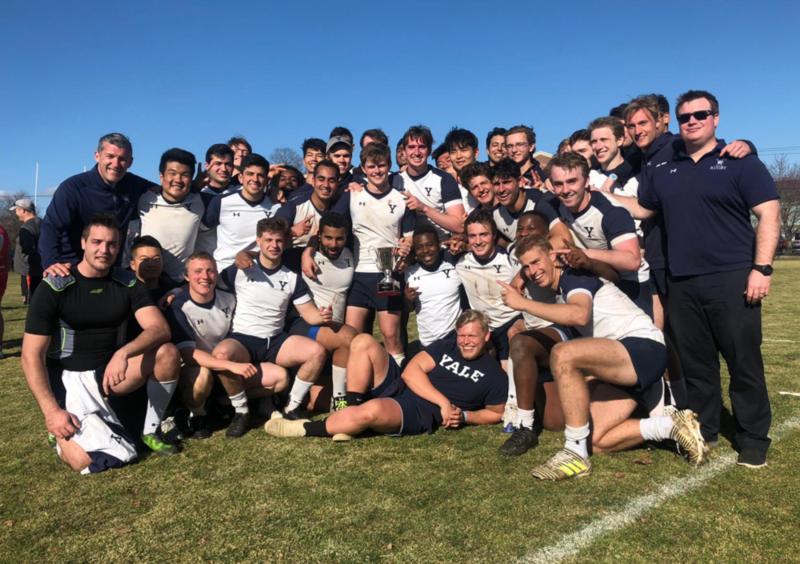 Last weekend, the Yale Rugby Men’s 1st XV won the Nemec Cup for the first time, beating Fairfield University 39-17 on a sunny day in New Haven. It was a day jam packed with Rugby, starting with the NOBS v Grad program, finishing 17-15 to the Grads. The Yale Women’s 7s side played 2 games v Fairfield University in a closely contested duel. Fairfield came out on top in both, 15-12 and 19-15. The Wallbridge Wager was retained by the Young alumni, beating the Yale Development XV 20-17. All in all it was a great day of rugby.